Whyte says he has heard Joshua will next fight Jarrell Miller and that he himself will be very much left out in the cold. 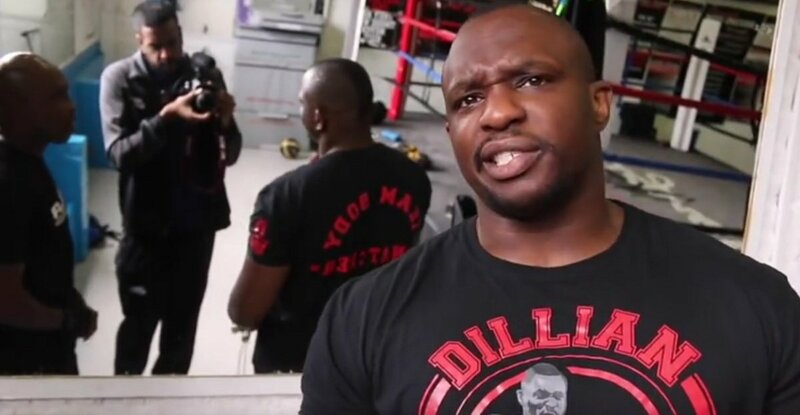 Whyte added how in his opinion AJ showed he didn’t want to fight Wilder but that he could have when Wilder “came over with the $50 million (offer).” So is Joshua running the risk of alienating his fans by fighting, as Whyte put it, “mediocre, easy fights?” A Miller fight might prove interesting enough to some, but we all know who Joshua should be fighting – Wilder/Fury and the deserving Whyte. Bottom line: it should be one of these three guys next for AJ. And with Wilder and Fury currently working on their big, demanded rematch, it seems it should be Whyte next. Some fans may not be in a rush to see a rematch of the December 2015 fight (that saw AJ recover from being wobbled to stop Whyte in the seventh-round of an exciting battle), but with Wilder and Fury currently available, who else is there but Whyte? "AJ is going into the business of thinking 'I can have mediocre fights, and still make a lot of money.'" Next boxing news: Guillermo Rigondeaux Returns This Weekend – can he regain what he once had?